EFF doesn’t endorse products. But as Internet-connected products proliferate, ads for them bombard holiday shoppers with promises of a more streamlined life. And they do so without always divulging that they’re tracking you more than a jolly fat man who sees when you’re sleeping and knows when you’re awake. So, we are taking a different approach to the holiday gift guide: highlighting products that raise red flags for us, as privacy-conscious digital advocates. Here are some gifts being pushed this year that, from a privacy or security standpoint, are on our naughty list. You’ve probably seen the ads for Facebook’s in-home camera, Portal, which it’s advertising as a way to keep in touch via video call with friends and loved ones wherever they are. “If you can’t be there, feel there,” is the maudlin tagline for the camera—which can follow you around the room during video-conferences. Facebook has made some nods to privacy with this product, namely including a camera cover and a promise that it’s not using the company’s facial recognition technology to identify you. And Portal itself doesn’t serve you ads. Still, Facebook has already had to change its tune about the extent to which it uses Portal data for advertising, first saying that no data would be used to serve Facebook users ads, and then being forced to clarify. Data from Portal does, in fact, inform ads. This includes “the fact that you logged into your account or how often you use a feature or app.” What does that mean? Facebook offers the example that if you make a lot of video calls, you may see ads related to video calling. It’s also collecting everything that Messenger collects, including “usage data such as length of calls, frequency of calls,” along with “aggregate usage” of ads, which could also inform your advertising profile. Facebook has a history of changing the terms of how it uses your data, which is worth keeping in mind as you consider giving it a place in your home. The company’s practices have drawn its fair share of trust issues this year, to say the least, and have shown a certain disregard for notifying people of how it’s using their data. The Portal name suggests opening a door; anyone considering it should remember that you’re not only opening up lines of communication, but also a connection between Facebook and your home. Alexa, who else are you talking to? Home hubs in general deserve a critical eye, given the wealth of data they collect, the frequency with which they collect it, and their intimate placement in our lives. Smart home hubs, including those from Google and Amazon, reserve the right to share data collected from their products for advertising, as well as with companies who make the apps or skills you install on those devices. In Google’s case, it will use data from Home to “show you ads that are relevant and useful.” In Amazon’s case, while it also won’t share actual voice recordings with advertisers, it could share the content of requests for information such as ZIP codes, the New York Times reported. Law enforcement is also certainly not shy about asking for data from smart home appliances as part of their investigations. Police have asked for data from smart home hubs, fitness trackers, and even pacemakers, The Washington Post reported. We continue to have concerns about Verizon’s AppFlash app, which the company describes as an app launcher that provides a universal search function on your phone. We call it spyware. The company uses the information collected from the app to track what you’ve installed on your device and uses that intel to serve you ads based on what apps you’ve put on your phone. Verizon does ask for users’ permission to collect information. What it doesn’t make clear, even in its own FAQ about the product, is how much information it’s collecting or how it’s going to use it. As we said in April 2017—and continue to say now—this is a problem. 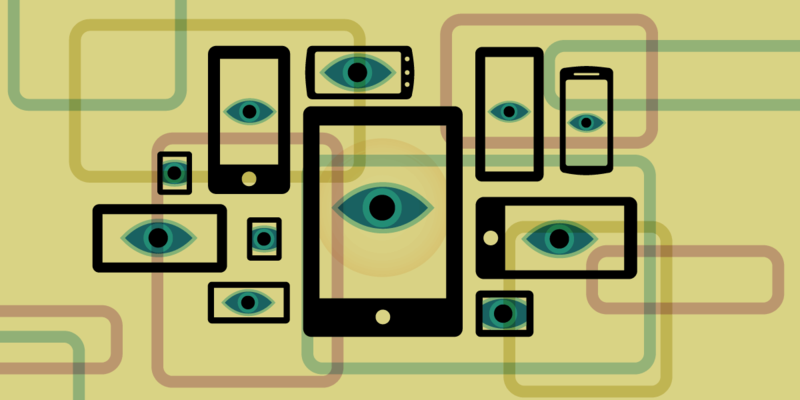 The apps people download onto their phones can reveal a lot of deeply personal information. Knowing that you’ve download, for example, a fertility app, could cause spark some awkward conversations when a diaper coupon pops up in front of someone else. In addition to privacy, we’re also concerned that broad data collection makes the app—and, by extension, you—a major target for hackers. Phone owners can disable, but not delete, this app but that requires a) heading into your phone’s settings and b) knowing what it does in the first place. Consider this a warning. We’re getting into killjoy territory now, but winter is a time for cold truths: the phenomenon of the Elf on the Shelf—or its Hanukkah counterpart, the Mensch on a Bench— is whimsical, yet deeply creepy. For those who don’t know, these characters are supposed to be placed around the house to “monitor” children’s behavior to see if they’ve been good. The doll is to be moved around at random every day, to keep the kids on their toes. While there’s nothing invasive about the products themselves—they’re dumb toys in multiple senses of the word—the ideas they set down are troubling. Making surveillance part of a holiday tradition is essentially setting up a plush police state in your own home. We’re never on board with normalizing the idea that constant surveillance is okay, even if it is a good opportunity to take a lot of Instagram pictures. There are many, many more products that we could talk about here: smart toys, baby monitors, fitness trackers and more. Overall, there are a few things to think about when you’re looking at buying a smart gift but trying to balance privacy. Consider carefully what features a product has, and what that means in terms of data collection. Anything with a microphone, for example, can record what you’re saying—and may record something you don’t expect it do, as was the case for one Amazon Echo owner this May. Opting for a smart vacuum also means letting a company like iRobot, maker of the Roomba, map out your house. Second, use your settings. A new smart device will probably have a lot of sharing options on by default, and set-up is a good time to go through the settings and figure out what you actually want to be exposing to companies and others. Socks and books aren’t looking so bad now, are they?